The season is rolling along and the tried and true blitzes that were installed in pre-season camp have by now been called multiple times. 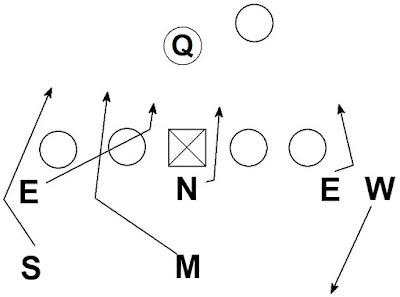 Every opponent has several films and has developed a scouting report on a defense's most common pressures. How can a defense get continued production from the same blitzes it has been running all season? 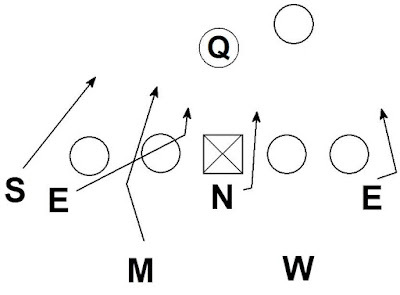 One solution is using tag words to disguise blitzes and create confusion for the offense's blocking schemes. Tag words allow the defense to continue running the blitzes it executes well, while creating new looks and challenges for the offense. 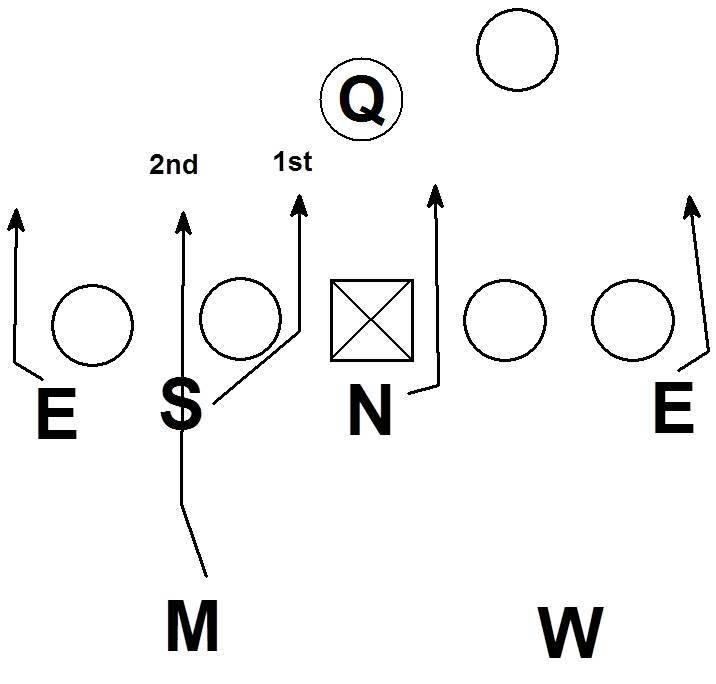 Here is a sample blitz from the 3-3 Stack. 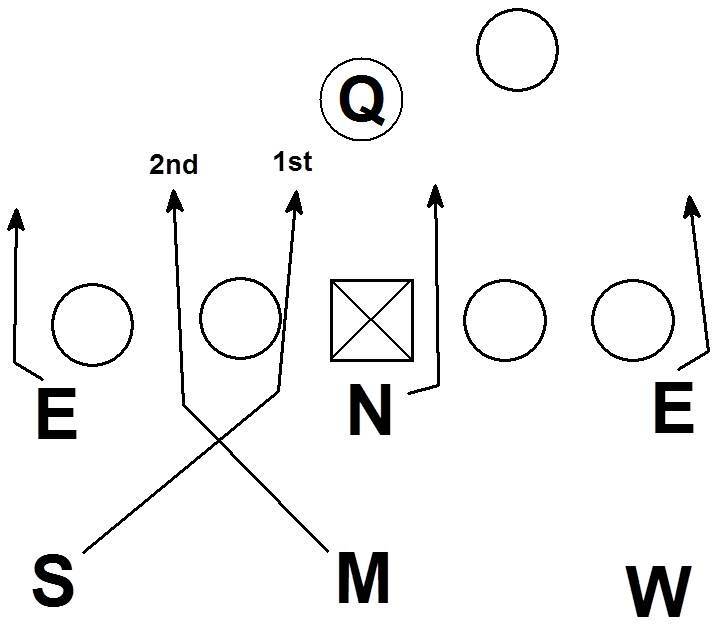 The blitz is an America's Blitz concept with 3 under 3 deep fire zone coverage behind it. 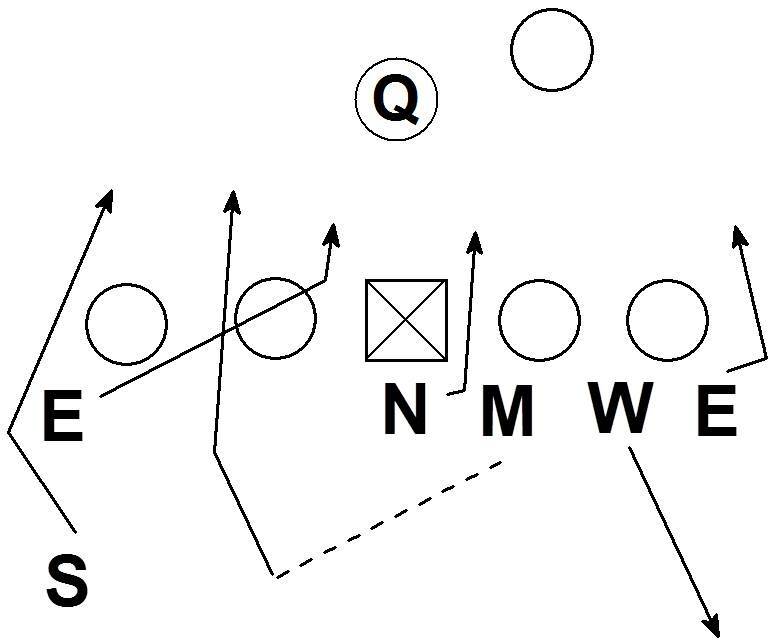 The blitz is SMACK - Sam & Mike, End to A Gap. 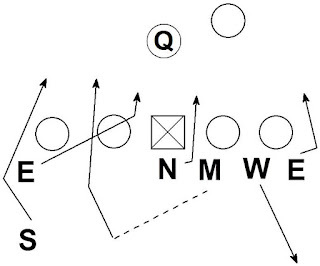 The goal of the blitz name to tell the rushers where they need to go. Bluff tells the non-blitzing LB (here the Will) to show a blitz in the B gap. The call would be Bluff Smack. 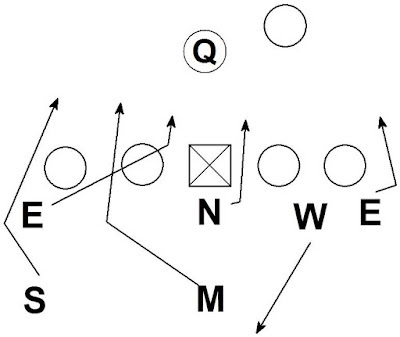 Con tells the non-blitzing LB (again the Will) to show a Contain Blitz . The call would be Con Smack. 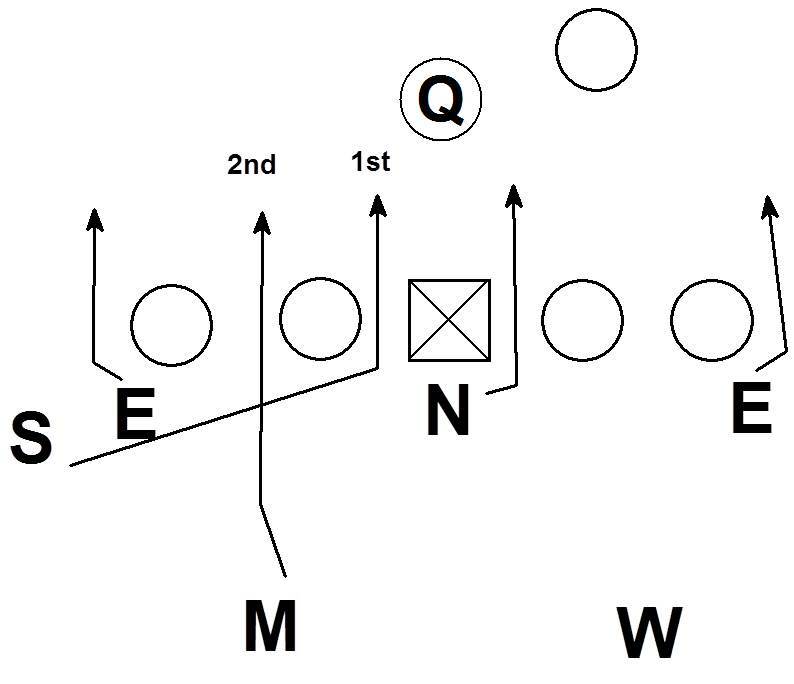 In tells the DE's to align inside (here in 4i's). 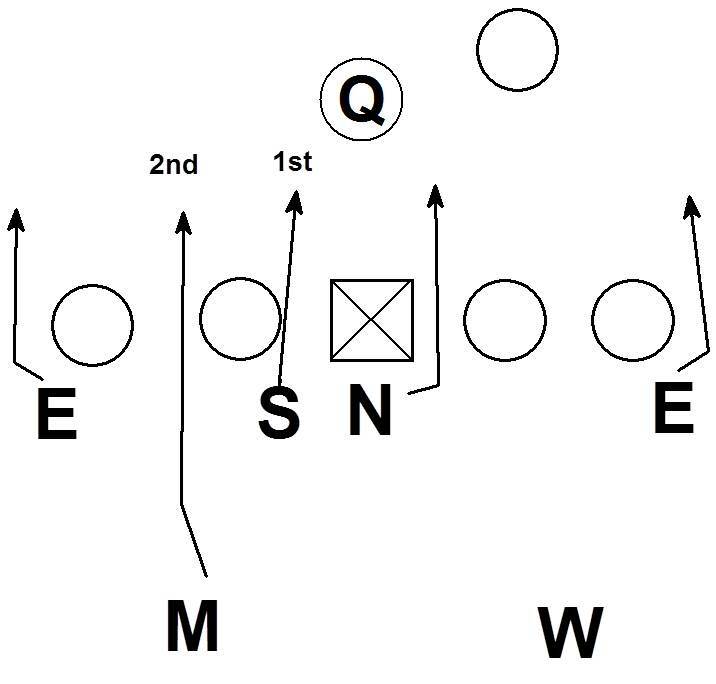 In also tells up the stack LB's (Mike & Will) to walk up to the L.O.S. 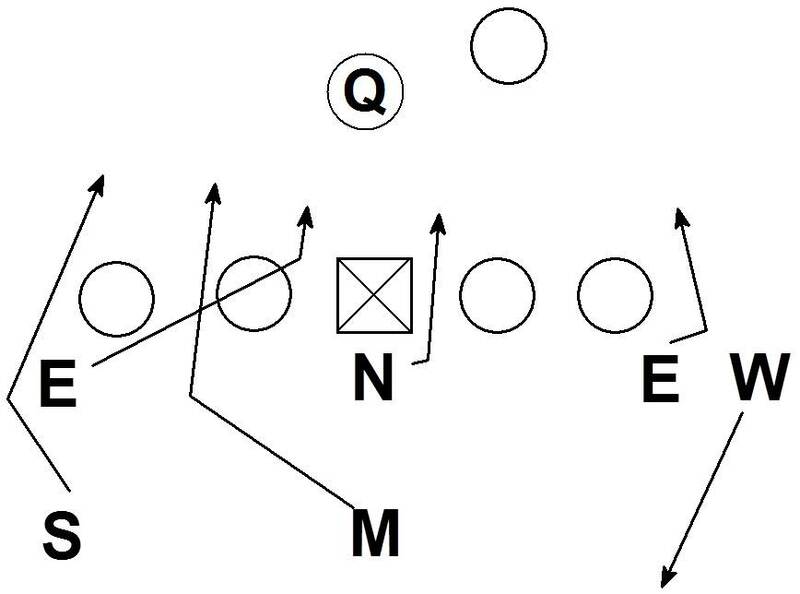 The DL and LB's run Smack from the IN alignment. The call would be In Smack. 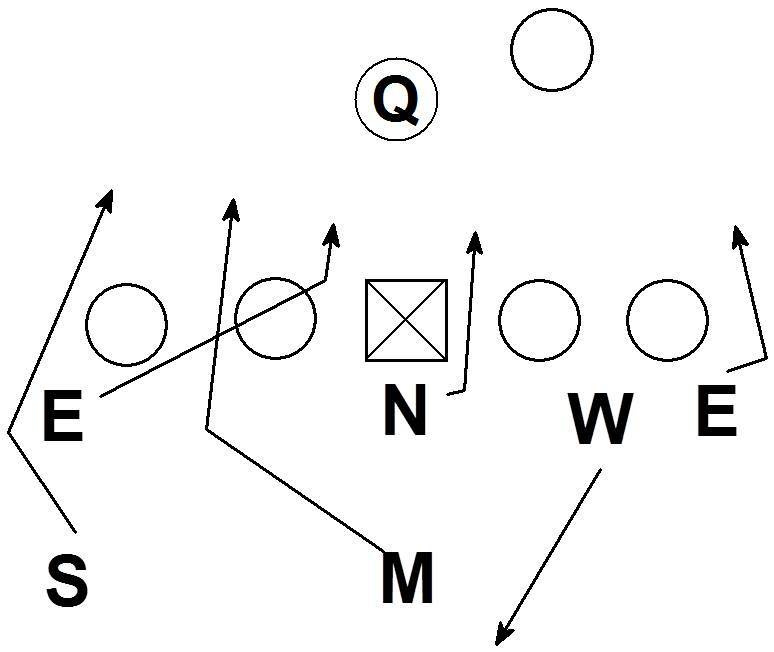 Big tells the LB's to bump their alignments to the blitz. Big can help improve the blitzer's angles. 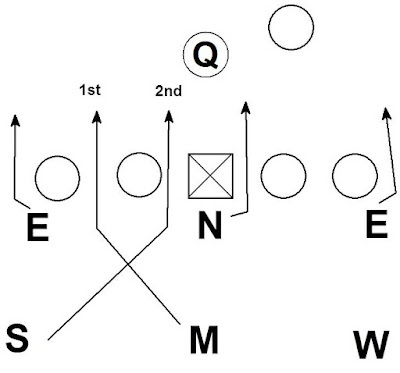 Big can also cause blocking scheme headaches for the offense. If they are preparing for a defense to stay stacked and now the defense is bumping to a non-stacked alignment, can they handle it? The call would be Big Smack. Smoke can be tagged using the same naming system. Here is Bluff Smoke. Smoke can also be tagged with Alpha, Bravo, or Charlie. 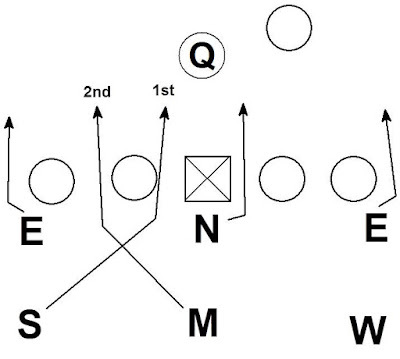 The tags tell the 1st blitzer where to show a blitz. Here is Alpha Smoke. 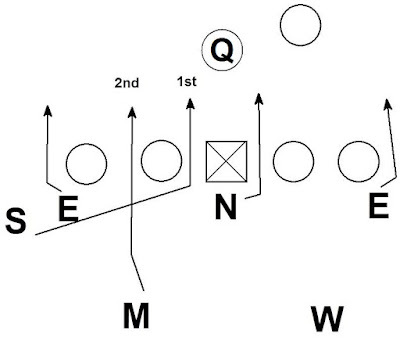 The 1st blitzer (here the Sam) shows in the A gap. The Sam and Mike execute a Smoke. Here is Bravo Smoke. 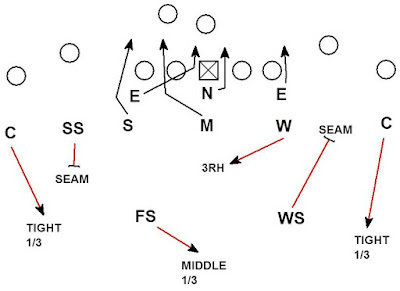 The Sam is aligned showing blitz in the B gap. Finally, here is Charlie Smoke. 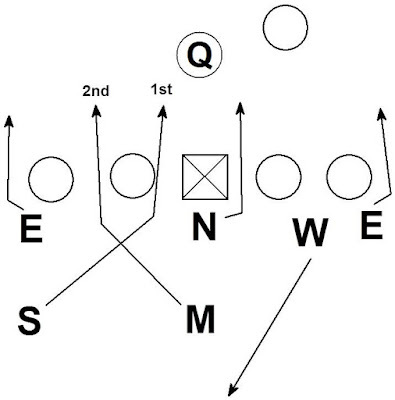 The Sam shows a contain blitz then executes a Smoke. Monster can be tagged just like Smack and Smoke. The differences happen on Alpha, Bravo, or Charlie. The Mike is the 1st blitzer and shows on Monster. 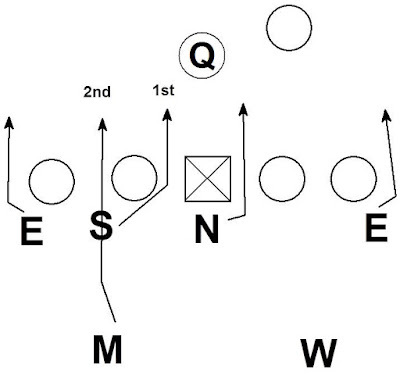 For example an Alpha Monster call tells the Mike to show in the A gap then execute the Monster. 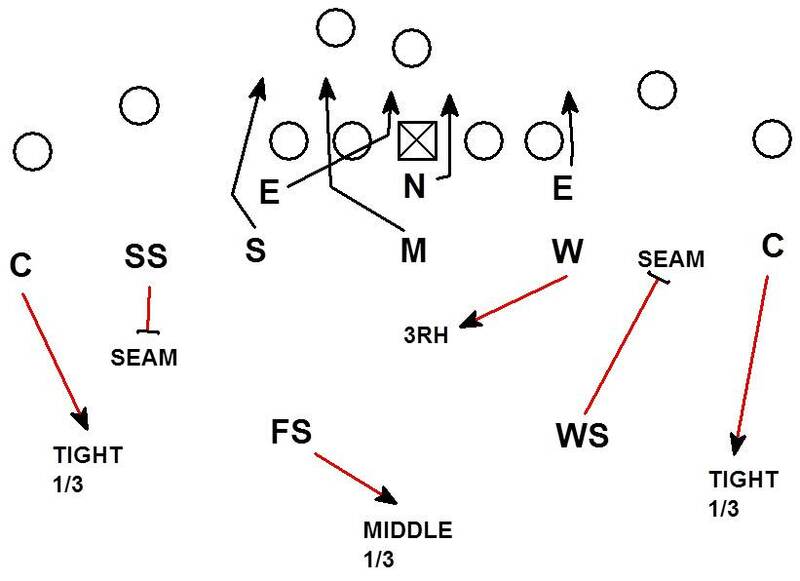 Having a system of tags for your blitz package can create greater versatility without installing new blitzes. 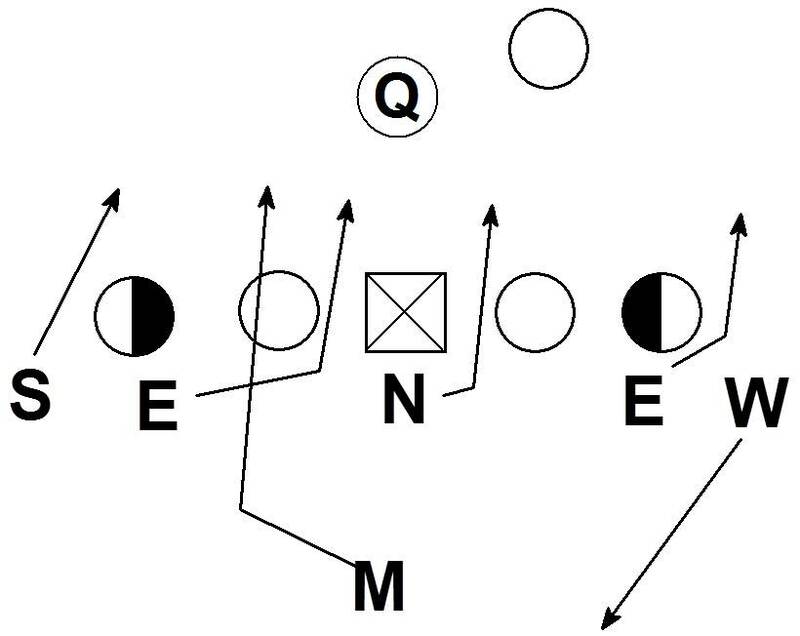 Versatility can come in handy as the season goes along and opposing offense's know more about a defense. 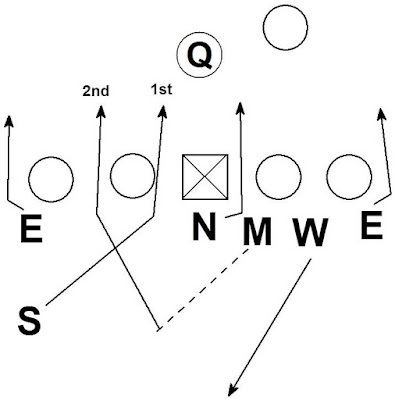 Tags also come in handy in the post-season when a defense may have to play a team for a 2nd time.